Bells - Glow in the dark. Discounts Apply ! Our bells work great for day or night fishing. The white plastic ring as well as the glow stick insert glows in the dark. 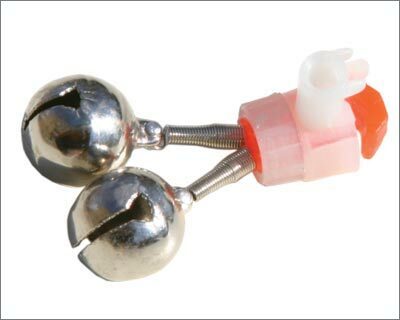 Bells are mounted on the rod tip. It is easy to hear and see the bite once the rod tip flexes.